This item is DISCONTINUED and is no longer available. Request Information and our product specialist will help you find similr items. Promotional Curved Brushed Aluminum Frame.Curved brushed aluminum with a fun three-dimensional application makes for an outstanding piece. 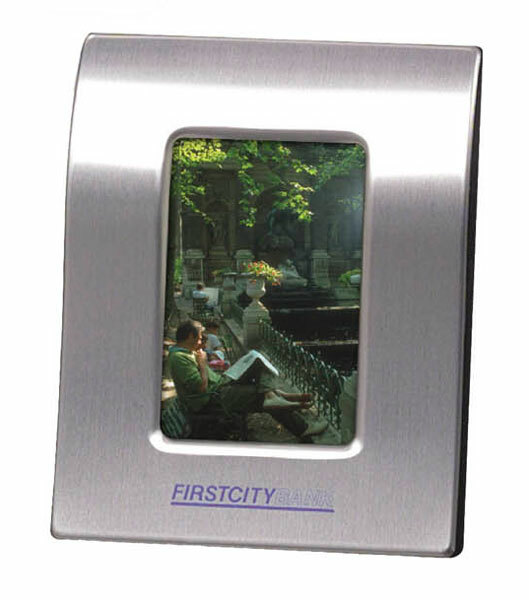 Magnetic Certificate Holder - Clear on Clear - 8 1/2" x 11"